The Android picture gallery is viewed by many as the best one in the game, but what if there are other apps that could outdo the leader himself. 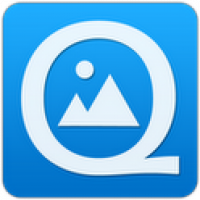 So if you feel up to a challenge make sure to check out QuickPic, which is said to be one of the biggest contenders. The app was created by alensw.com, a Chinese developer for whom QuickPic paved the way to over 92,000 downloads and one sure success story. The user-interface of the app is great and very fluid, it seems to just gel in with the fluidity of the entire Android ecosystem without breaking a sweat. Also, users have the option to display the gallery pictures either in normal gallery format, grid format, list format or multiple pictures. What really differentiates this app from the stock gallery would be the the high-resolution touch that the developer has integrated. Moreover, the speed-browsing features really saves the time of flicking through pictures. Some say that the developer has tried to adopt the iOS gallery for Android and in certain aspects I can say that they have succeed to a certain extent. Overall, QuickPic is more than just simple gallery app with only the bells & whistles, as the users can rotate, shrink, crop pictures, set wallpaper with best quality, do effective file management, with options to sort, rename, create new folder, move and copy pictures. The app also has its share of drawbacks, but the awesome feature make up for it.